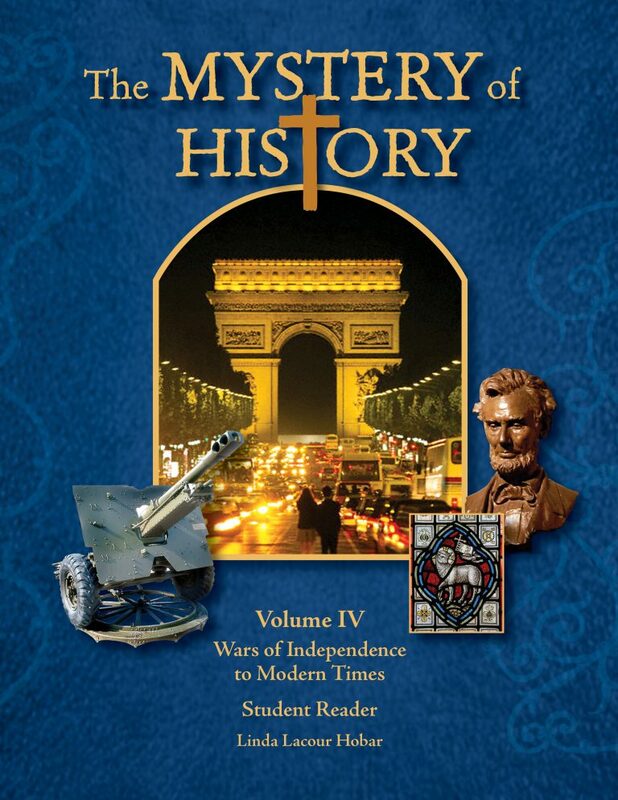 The Mystery of History Volume IV unfolds three centuries of world history, from the wars of independence to modern times (1708-present) with author Linda Hobar’s distinctly Christian perspective. The Student Reader now contains 84 stirring lessons in a colorful, easy-to-hold hardback. 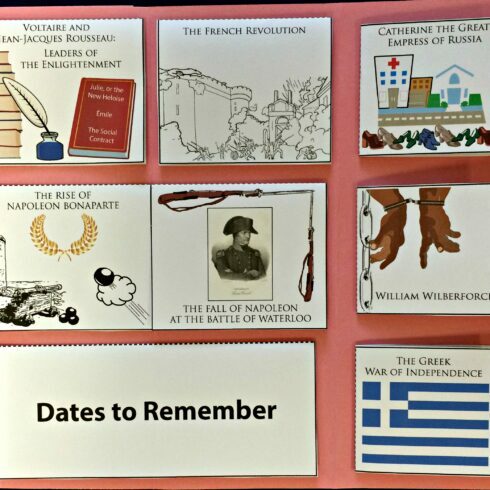 The Reader is a stand-alone world history text for all ages to enjoy. 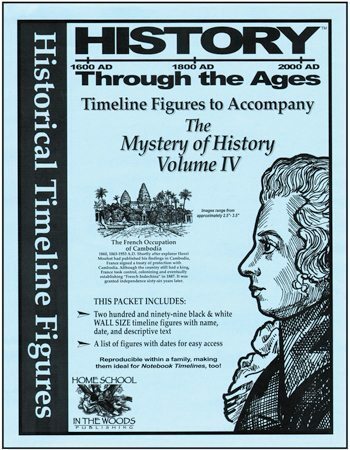 But for those who wish to delve deeper, we have included a download code in each book for a digital version of The Mystery of History Volume IV Companion Guide. 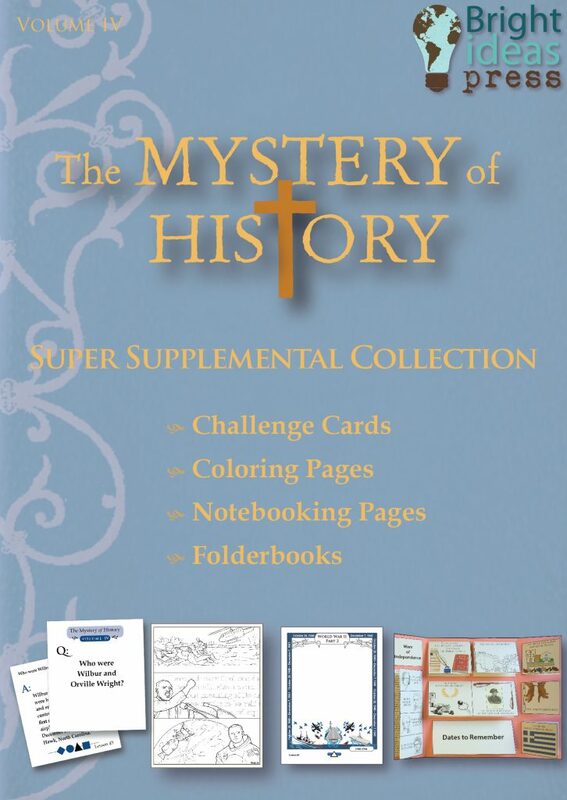 The reproducible resources of the Companion Guide, written also by Linda Lacour Hobar, contain familiar and popular components of The Mystery of History series: pretests, hands-on activities and research projects for younger, middle, and older students, Memory Card ideas, bi-weekly quizzes and exercises, timeline helps, maps, supplemental book lists, and more. 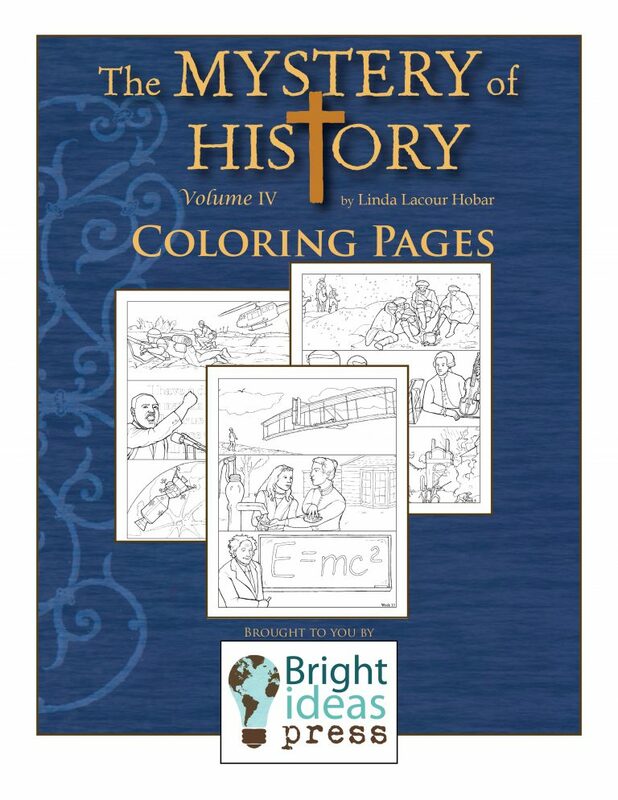 632 pages, full color illustrations. 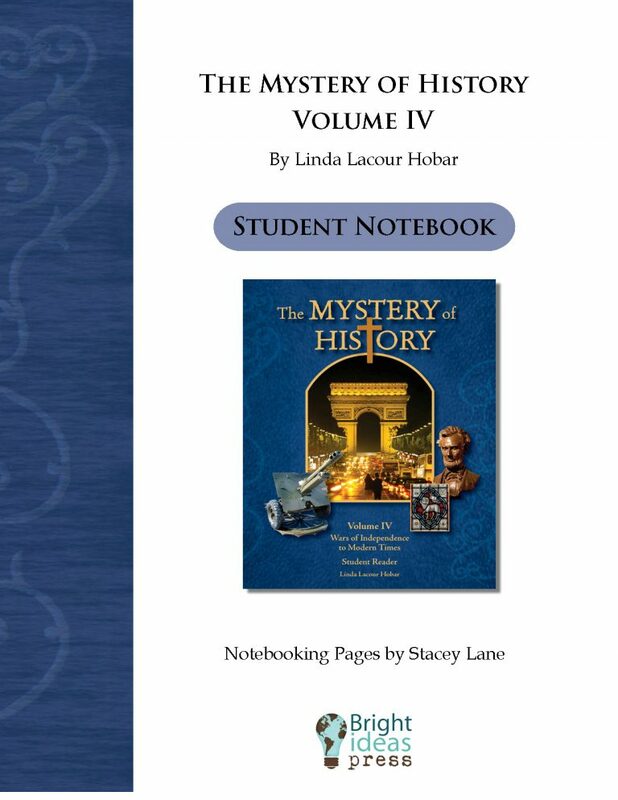 This curriculum includes a digital download of The Mystery of History Volume IV Companion Guide which offers various activities, quizzes, tests, reproducible maps, teacher information, and book lists. 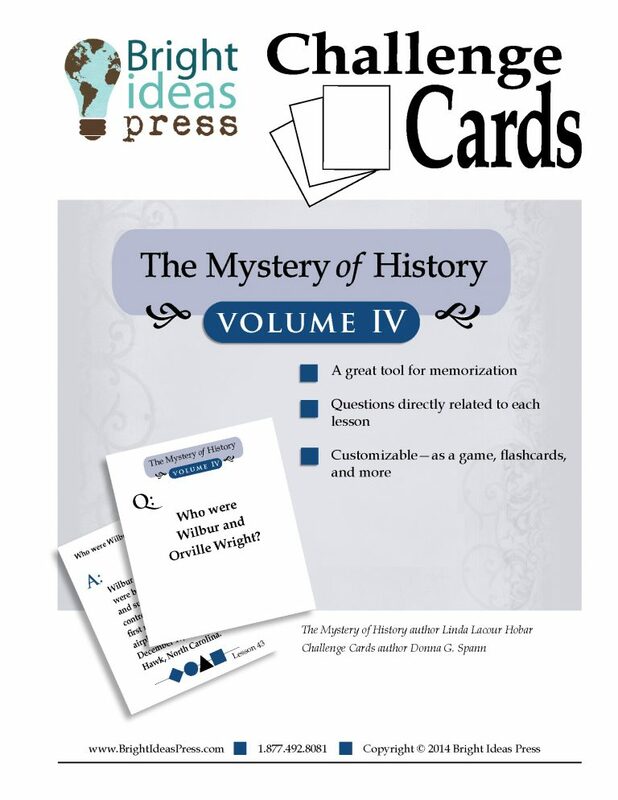 ALL of The Mystery of History Vol IV “Downloadable Extras” bundled into one collection at a huge savings! 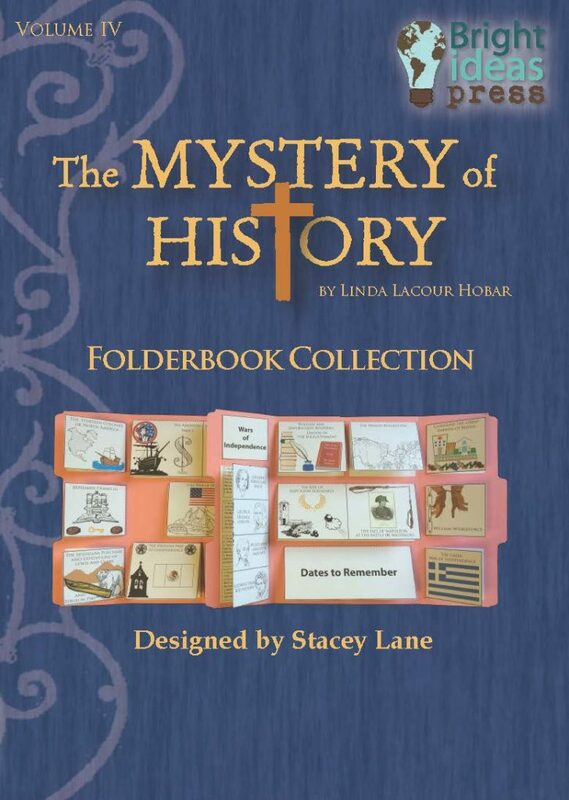 Includes The Mystery of History Volume IV Coloring Pages, Challenge Cards, Notebooking Pages and all four quarterly Folderbooks.